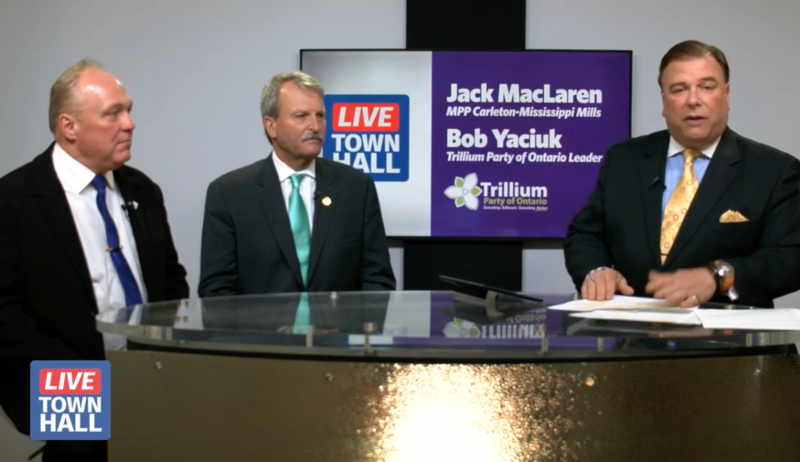 Trillium Party of Ontario Leader, Bob Yaciuk, and MPP Jack MacLaren, answered Michael A. Charbon’s questions in “Live Town Hall” program. “Speaking with regular folks and actually listening to their concerns. That’s what politics is all about”, says Bob Yaciuk.